Flowers are all smiles during Spring! 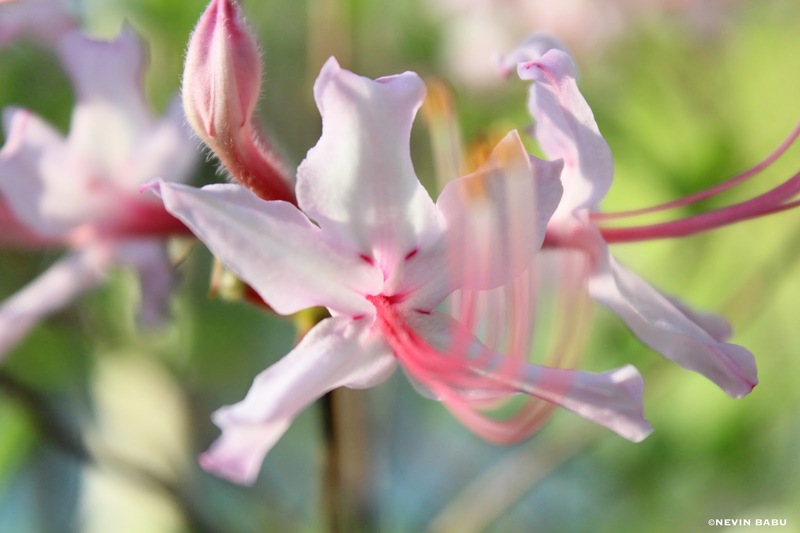 This plant is commonly called pink azalea and pinxter flower. The biological name is Rhododendron periclymenoides. It grows as a shrub and is a popular horticulture plant. Rhododendron periclymenoides is often seen in wet places. Picture captured at the Meadowlark Botanical gardens, Vienna, Virginia. Beautiful colors in a great macro! It looks like nice pink smiling monster with four tongues. Cute and funny!